Altered Effect: We finally have a website! We finally have a website! It's been over two years, but Altered Effect finally has a website of its very own. It's really only two pages, but better than nothing! Hopefully people like it! 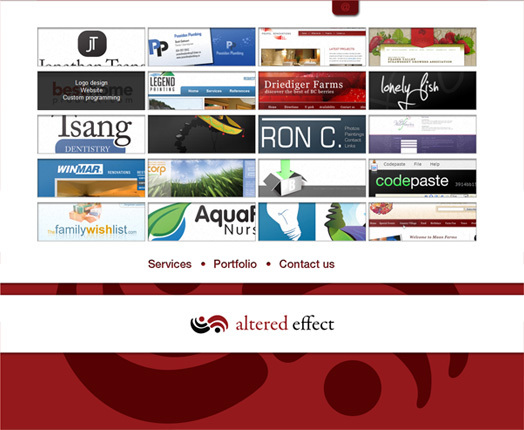 At the very least, it will give our clients something to see. 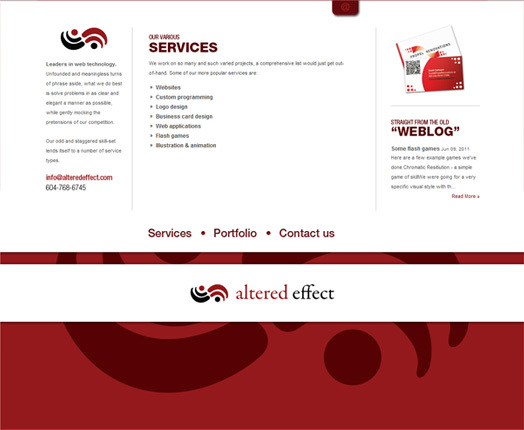 Leaders in web technology. Unfounded and meaningless turns of phrase aside, what we want most is to solve problems in as clear and elegant a manner as possible, while gently mocking the pretensions of our competition. Our odd and staggered skill-set lends itself to a number of service types. 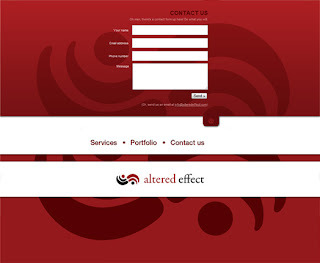 altered effect web design and development .